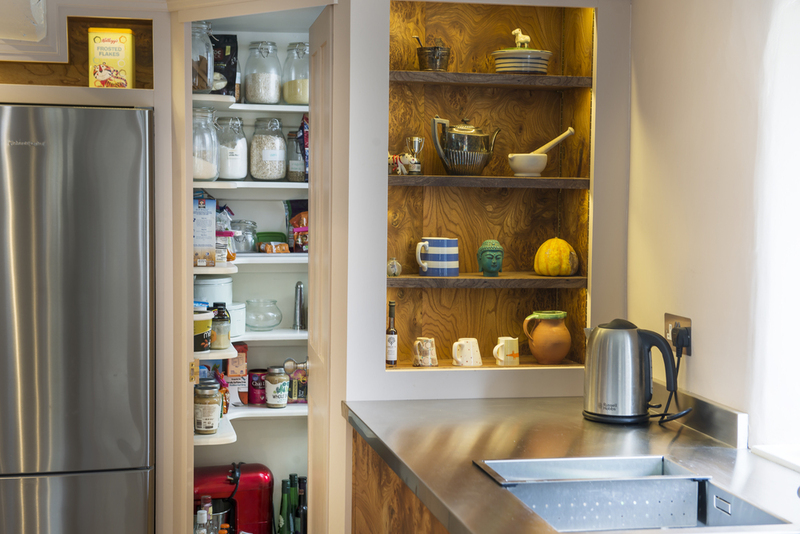 For a mother and her two daughters in Nailsworth, their new kitchen was to be more than a place to cook; it was to be the centre of family life. 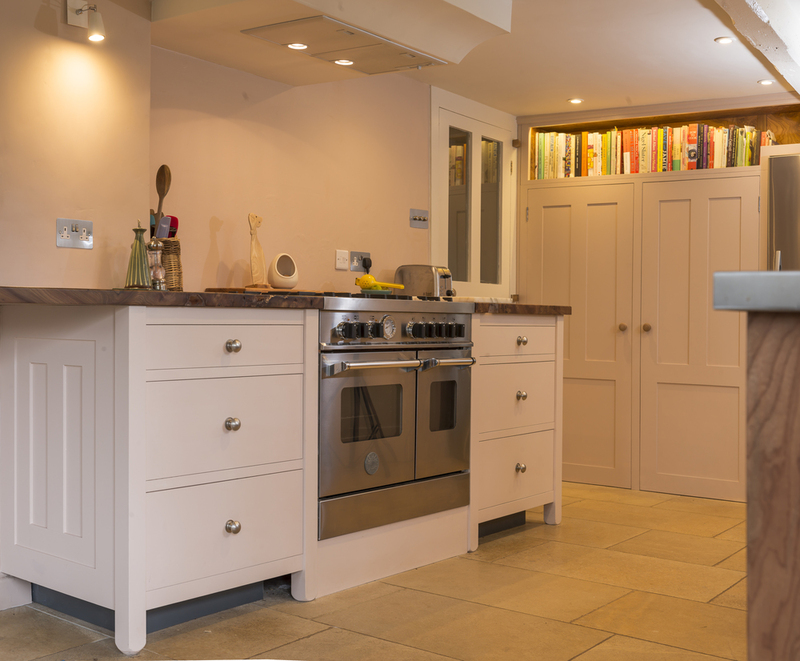 The initial brief was to create a painted, shaker-style kitchen. But after listening to the ideas of each family member, plans began to grow. For the base units the clients chose a piece of burr elm with striking textures and as much intricate detail as a cross-section of pomegranate. 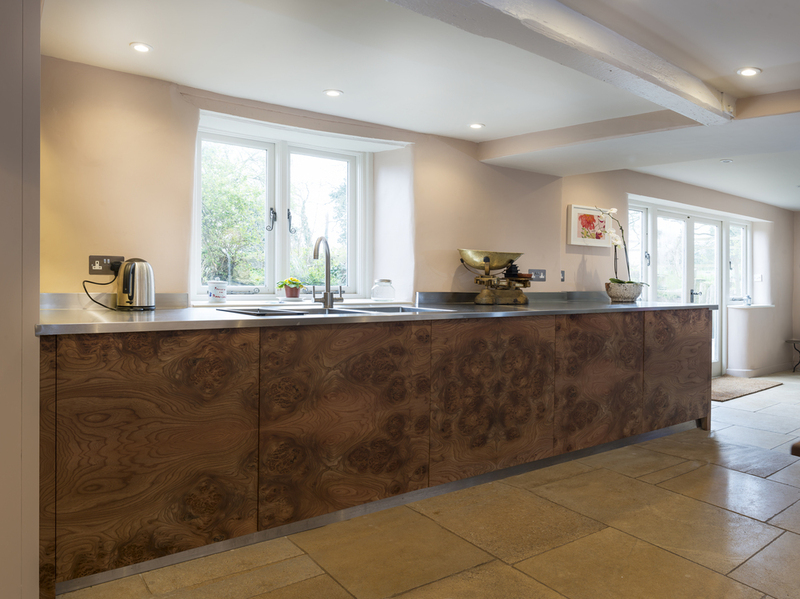 This elm was also treated to create a unique worktop; by filling in the wood’s deep knots with clear resin, every natural imperfection was revealed and preserved. The result was a surface as smooth and practical as it was beautiful. When paired with a stainless steel counter top, a bold contrast was created - two opposite materials working together to provide balance and beauty. 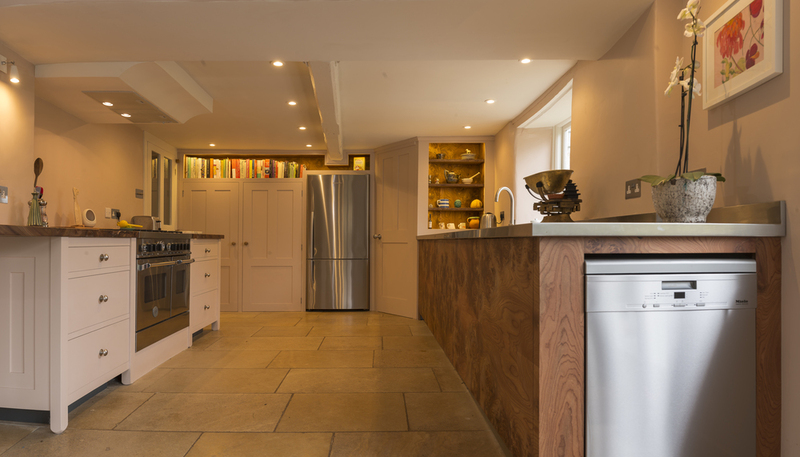 A large hidden pantry was built into the layout to provide ample storage and elm was used to surround the impressive Bertazzoni range. The end result was a kitchen that married a stunning mixture of materials with unique finishing touches. The clients were delighted and loved every inch of subtle detail.